By using this site, you signify your assent to, and agreement with, these Terms and Conditions. If you do not agree to all of these Terms and Conditions of use, do not use this site! MyHealthandFitness, Inc. (“MyHealthandFitness”) may revise and update these Terms and Conditions at any time. Your continued usage of the MyHealthandFitness web site (“MyHealthandFitness Site,” or the “Site,”) will mean you accept those changes. The contents of the MyHealthandFitness Site, such as text, graphics, images, information obtained from MyHealthandFitness licensors, and other material contained on the MyHealthandFitness Site (“Content”) are for informational purposes only. The Content is not intended to be a substitute for professional medical advice, diagnosis, or treatment. Always seek the advice of your physician or other qualified health provider with any questions you may have regarding a medical condition. This includes a requirement to seek that advice prior to beginning any exercise program, especially those listed on the myhealthandfitness.com website. Never disregard professional medical advice or delay in seeking it because of something you have read on the MyHealthandFitness Site! If you think you may have a medical emergency, call your doctor or 911 immediately. MyHealthandFitness does not recommend or endorse any specific tests, physicians, products, procedures, opinions, or other information that may be mentioned on the Site. Reliance on any information provided by MyHealthandFitness, MyHealthandFitness employees, other(s) perceived experts or lay persons appearing on the Site at the invitation of MyHealthandFitness, or other visitors to the Site is solely at your own risk. MyHealthandFitness authorizes you to view or download a single copy of the material on the MyHealthandFitness Site solely for your personal, noncommercial use if you include the following copyright notice: “Copyright © 1996 – 2015, MyHealthandFitness, Inc. All rights reserved” and other copyright and proprietary rights notices that are contained in the Content. Any special rules for the use of certain software and other items accessible on the MyHealthandFitness Site may be included elsewhere within the Site and are incorporated into these Terms and Conditions by reference. Also, MyHealthandFitness requests that when using material from the MyHealthandFitness web site that you fully divulge the source of the material, giving MyHealthandFitness full credit for its creation and source. The Content is protected by copyright under both United States and foreign laws. Title to the Content remains with MyHealthandFitness or its licensors. Any use of the Content not expressly permitted by these Terms and Conditions is a breach of these Terms and Conditions and may violate copyright, trademark, and other laws. Content and features are subject to change or termination without notice in the editorial discretion of MyHealthandFitness. All rights not expressly granted herein are reserved to MyHealthandFitness and its licensors. The use of the MyHealthandFitness Site and the Content is at your own risk. When using the MyHealthandFitness Site, information will be transmitted over a medium that may be beyond the control and jurisdiction of MyHealthandFitness and its suppliers. Accordingly, MyHealthandFitness assumes no liability for or relating to the delay, failure, interruption, or corruption of any data or other information transmitted in connection with use of the MyHealthandFitness Site. The MyHealthandFitness Site and the content are provided on an “as is” basis. MyHealthandFitness, ITS LICENSORS, AND ITS SUPPLIERS, TO THE FULLEST EXTENT PERMITTED BY LAW, DISCLAIM ALL WARRANTIES, EITHER EXPRESS OR IMPLIED, STATUTORY OR OTHERWISE, INCLUDING BUT NOT LIMITED TO THE IMPLIED WARRANTIES OF MERCHANTABILITY, NON-INFRINGEMENT OF THIRD PARTIES’ RIGHTS, AND FITNESS FOR PARTICULAR PURPOSE. The accuracy, reliability, completeness, currentness, or timeliness of the content, software, text, graphics, links, or communications provided on or through the use of the MyHealthandFitness web site or MyHealthandFitness. The satisfaction of any government regulations requiring disclosure of information on prescription drug products, supplements, training methods or exercises, or the approval or compliance of any software tools with regard to the Content contained on the MyHealthandFitness Site. In no event shall MyHealthandFitness, its licensors, its suppliers, or any third parties mentioned on the MyHealthandFitness Site be liable for any damages (including, without limitation, incidental and consequential damages, personal injury/wrongful death, lost profits, or damages resulting from lost data or business interruption) resulting from the use of or inability to use the MyHealthandFitness Site or the Content, whether based on warranty, contract, tort, or any other legal theory, and whether or not MyHealthandFitness is advised of the possibility of such damages. MyHealthandFitness is not liable for any personal injury, including death, caused by your use or misuse of the Site, Content, Advice, or Public Areas (as defined below). Any claims arising in connection with your use of the Site, any Content, or the Public Areas must be brought within one (1) year of the date of the event giving rise to such action occurred. Remedies under these Terms and Conditions are exclusive and are limited to those expressly provided for in these Terms and Conditions. If you make any such submission ‘You’ agree that you will not send or transmit to MyHealthandFitness by email, (including through the email addresses listed on the “Contact Us” link) any communication or content that infringes or violates any rights of any party. If you submit any business information, idea, concept or invention to MyHealthandFitness by email, you agree such submission is non-confidential for all purposes. 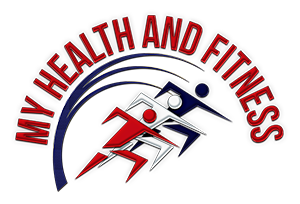 If you make any submission to a Public Area or if you submit any business information, idea, concept or invention to MyHealthandFitness by email, you automatically grant–or warrant that the owner of such content or intellectual property has expressly granted–MyHealthandFitness a royalty-free, perpetual, irrevocable, world-wide nonexclusive license to use, reproduce, create derivative works from, modify, publish, edit, translate, distribute, perform, and display the communication or content in any media or medium, or any form, format, or forum now known or hereafter developed. MyHealthandFitness may sublicense its rights through multiple tiers of sublicenses. If you wish to keep any business information, ideas, concepts or inventions private or proprietary, do not submit them to the Public Areas or to MyHealthandFitness by email. We try to answer every email in a timely manner, but are not always able to do so. MyHealthandFitness has several tools that allow you to record, store, and transmit information. For example, “Personal Profile” when you join is a service that allows you to record limited amounts of personal health and fitness information on voluntary basis on servers maintained by MyHealthandFitness or on its behalf. “Personal Profile” is structured to allow access only to visitors, i.e., ‘members’ with a valid password. You are responsible for taking all reasonable steps to ensure that no unauthorized person shall have access to your MyHealthandFitness passwords or account(s). It is your sole responsibility to (1) control the dissemination and use of activation codes and passwords; (2) authorize, monitor, and control access to and use of your MyHealthandFitness account and password; (3) promptly inform MyHealthandFitness of any need to deactivate a password. You grant MyHealthandFitness and all other persons or entities involved in the operation of the Site the right to transmit, monitor, retrieve, store, and use your information in connection with the operation of the Site. MyHealthandFitness cannot and does not assume any responsibility or liability for any information you submit, including to “Personal Profile”, or your or third parties’ use or misuse of information transmitted or received using MyHealthandFitness tools and services, including Personal Profile, Tools, Training, Products, and other areas on the site. If you use a Public Area, such as a chat room, bulletin board or community Ask Our Expert posting, Q&A, or other member communities, you are solely responsible for your own communications, the consequences of posting those communications, and your reliance on any communications found in the Public Areas. MyHealthandFitness is not responsible for the consequences of any communications in the Public Areas. In cases where you feel threatened or believe someone else is in danger, you should contact your local law enforcement agency immediately. If you think you may have a medical emergency, call your physician or 911 immediately. Engaging in any other conduct that restricts or inhibits any other person from using or enjoying the Public Area or the Site, or which, in the judgment of MyHealthandFitness, exposes MyHealthandFitness or any of its customers or suppliers to any liability or detriment of any type. Remove communications which are abusive, illegal, or disruptive, or that otherwise fail to conform with and or to these Terms and Conditions. Terminate a user’s access to any or all Public Areas and/or the MyHealthandFitness Site upon any breach of these Terms and Conditions. Edit or delete any communication(s) posted on the MyHealthandFitness Site, regardless of whether such communication(s) violate these standards. MyHealthandFitness reserves the right to take any action it deems necessary to protect the personal safety of our guests or the public. MyHealthandFitness has no liability or responsibility to users of the MyHealthandFitness Site or any other person or entity for performance or nonperformance of the before mentioned activities. MyHealthandFitness may provide links to third-party web sites. MyHealthandFitness also may select certain sites as priority responses to search terms you enter and MyHealthandFitness may agree to allow advertisers to respond to certain search terms with advertisements or sponsored content. MyHealthandFitness does not recommend and does not endorse the content on any third-party web sites. MyHealthandFitness is not responsible for the content of linked third-party sites, sites framed within the MyHealthandFitness Site, third-party sites provided as search results, or third-party advertisements, and does not make any representations regarding their content or accuracy. Your use of third-party web sites is at your own risk and subject to the terms and conditions of use for such sites. MyHealthandFitness does not endorse any product advertised on the MyHealthandFitness Site. You agree to defend, indemnify, and hold MyHealthandFitness, its officers, directors, employees, agents, licensors, and suppliers, harmless from and against any claims, actions or demands, liabilities and settlements including without limitation, reasonable legal and accounting fees, resulting from, or alleged to result from, your violation of these Terms and Conditions. MyHealthandFitness is based in Denver, Colorado, in the United States of America. MyHealthandFitness makes no claims that the Content is appropriate or may be downloaded outside of the United States. Access to the Content may not be legal by certain persons or in certain countries. If you access the MyHealthandFitness Site from outside the United States, you do so at your own risk and are responsible for compliance with the laws of your jurisdiction. The following provisions survive the expiration or termination of these Terms and Conditions for any reason whatsoever: Liability, User Submissions, Indemnity, Jurisdiction, and Complete Agreement. You expressly agree that exclusive jurisdiction for any dispute with MyHealthandFitness, or in any way relating to your use of the MyHealthandFitness Site, resides in the courts of the State of Colorado and you further agree and expressly consent to the exercise of personal jurisdiction in the courts of the State of Colorado in connection with any such dispute including any claim involving MyHealthandFitness or its affiliates, subsidiaries, employees, contractors, officers, directors, telecommunication providers, and content providers. These Terms and Conditions are governed by the internal substantive laws of the State of Colorado, without respect to its conflict of laws principles. If any provision of these Terms and Conditions is found to be invalid by any court having competent jurisdiction, the invalidity of such provision shall not affect the validity of the remaining provisions of these Terms and Conditions, which shall remain in full force and effect. No waiver of any of these Terms and Conditions shall be deemed a further or continuing waiver of such term or condition or any other term or condition. Thank you for your cooperation. 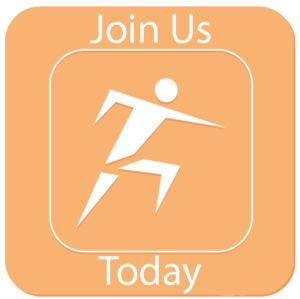 We hope you find the MyHealthandFitness Site helpful and convenient to use! Questions or comments regarding this web site, including any reports of non-functioning links, should be directed by electronic mail to info@MyHealthandFitness.com or via U.S. mail to MyHealthandFitness at PO Box 260126, Lakewood, Colorado 80226. We attempt to answer every email in a timely manner but are not always able to do so. MyHealthandFitness reserves all rights under copyright, trademark, and other applicable law in the contents of MyHealthandFitness.com and the trademarks and service marks of MyHealthandFitness use in MyHealthandFitness.com.